If you’re thinking about getting an air fryer, maybe air fryer French fries will help make up your mind? They’re brown, crispy, and cooked in 15 minutes! A funny thing happened last month. A lady asked me in one of my Instant Pot classes if I had ever used an air fryer. I hadn’t, and she told me that I needed to get one and start teaching air fryer classes. Then, a couple of weeks later, some more ladies told me in another Instant Pot class that I needed to get an air fryer, learn how to use it, and start teaching air fryer classes. You don’t have to tell me twice. Okay, never mind. They told me twice. But you don’t have to tell me three times! I went that weekend and bought an air fryer. Honestly, I was not expecting to like it. I didn’t really think that it was going to be all that useful. The problem was that I didn’t really realize what the air fryer was. I am sure there is more, but I digress. And while I haven’t done all of these things in it (I’ve yet to cook un-breaded meats, make a grilled cheese, or bake anything), at this point I am sold on the air fryer for its ability to reheat leftovers (including pizza and chicken tenders) to crunchy perfection and to make traditionally fried foods that are, in my opinion, just as good as the original. I made fried yellow squash in it this week and it was 💯. I will share that recipe soon! But, perhaps my biggest air fryer triumph to date (in, you know, the whole month that I’ve owned it), is its ability to make amazing fries. My air fryer French fries are adapted from my favorite baked fries. Honestly, when I set up to make these fries I was not expecting much. What I got were perfectly browned skin-on fries that were every bit as good as my baked version with ten minutes shaved off the cook time. So now I can honestly say that even if I hated the air fryer for every other purpose (which, again, I don’t), I would keep it and use it on a regular basis just to have these awesome air fryer French fries. I hope you’ll give them a try! Click here to save this recipe to your air fryer board on Pinterest! This recipe was shared on The Weekend Potluck on The Country Cook and Meal Plan Monday on Southern Plate! Bring a large pot of water to a boil. While the water is coming to a boil, cut the potatoes into 1/8-inch planks. You can peel the potatoes, but I never do. The easiest way to cut the potatoes is to cut them into slices lengthwise then stack several slices and cut them into planks. Once the water boils, place 1 teaspoon of salt into the water. Add the potatoes to the water and boil for 3 minutes. Drain the potatoes and allow to stand in a colander for at least 5 minutes, shaking frequently to remove the water. While the potatoes are draining, preheat your air fryer to 400 degrees Fahrenheit. Place the drained potatoes into a bowl. Drizzle with olive oil and sprinkle with salt. Toss to coat the potatoes. Place the potatoes in the air fryer basket. Cook for five minutes then toss gently. Repeat this twice. The fries should be browned and crispy after 15 minutes. If not, add cook time in 2-minute increments until they are done. Serve immediately with desired dipping sauce. These cheesy grilled potatoes in foil with bacon are easy to make and quick to clean up-you don’t even need dishes! They’re a perfect side or main dish. I mentioned in my naan bread pizza post a few weeks back that grilling is my new summer obsession. I can’t stop with the grill and I am constantly trying to think of something new that I can cook in my propane-powered outdoor oven instead of heating up the house with my oven. The funny thing is, this recipe was originally supposed to be grilled Monterey chicken – honey mustard chicken topped with bacon and cheese. And man, that’s a great recipe. But I saw a blogger that I follow post a nearly identical recipe the week that I was planning to take pictures of the Monterey chicken and decided that I needed to come up with a Plan B.
I had been making grilled potatoes to go with the Monterey chicken so I decided that grilled potatoes were going to be the recipe that made the blog. Cheesy grilled potatoes in foil, to be exact. Oh yeah – cheesy grilled potatoes in foil with bacon. So there’s that. Because how can you go wrong when you combine potatoes with cheese and bacon and throw them on the grill? One of the great things about these grilled potatoes is the foil packet that they are cooked in. It makes for easy clean-up and much less mess on the grill than if you were trying to use tongs to flip individual wedges of potatoes. Perfect grilled potatoes need to take a spin in the microwave for about 5-6 minutes before you grill them, or they will be nice and crunchy. And not in a good way. In a raw potato way. Get the potatoes good and dry before you put them in the foil. Add a little oil to help the seasonings stick! Grilling on high heat will get a great grilled flavor into the foil packets. The cheese and bacon need to be added at the end. If you add them at the beginning, you’ll end up with a whole bunch of cheese stuck to the inside of the foil and not a whole lot on the actual potatoes. If you don’t want to wash dishes, you can totally serve this in the foil. And cheesy grilled potatoes in foil can totally make a light summer meal! Tossed in just a little bit of oil and a homemade ranch seasoning, grilled on high for ten minutes, with a little cheese melted on top and some bacon thrown in for good measure, these cheesy grilled potatoes in foil packets are great for a cookout or just for an easy, quick clean-up family dinner! This post contains an affiliate link. This means that if you click the link and make a purchase, I will receive a small commission. This does not affect the cost to you. For more information, please see my disclosures. Thank you for supporting my blog! Preheat your grill to high heat for 15 minutes. Place the cut potatoes in a microwave-safe bowl. Cover with plastic wrap or a microwave-safe plate. Microwave on high for 3 minutes, shake to redistribute the potatoes, and microwave for another 3 minutes. Drain the potatoes in a colander and wipe out the bowl. Place the potatoes back in the bowl and toss with the olive oil and the ingredients for the homemade ranch seasoning or the packet of store-bought ranch seasoning. Tear off 4 12-inch pieces of aluminum foil. Divide the potatoes among the four sheets of foil and fold the sides to close them up and make a rectangular package. Using long tongs, place the packets on the grill. Grill for 5 minutes then flip and rotate the packages so that they cook evenly (for example, my grill is hotter in the back so I moved the packets that were in the front to the back and vice versa). Grill for another five minutes. Remove the packets from the grill and open up the top edge. Place 1/4 of the cheese and bacon into each packet and place the packets back on the grill for one minute to melt the cheese. Remove the packets from the grill and serve immediately. Southern pimento cheese is a classic staple of wedding showers, baby showers, and Southern lunches in general. This is my creamy, from-scratch version! Are You a Pimento Cheese Lover? There was a huge pimento cheese boom a few years back, and you could barely set food in a restaurant – at least here in the South – without seeing a pimento cheese sandwich and perhaps a pimento cheese burger on the menu. I think that the trend has died down a little bit, but Southern pimento cheese is just one of those foods that is good enough to be on restaurant menus that range from fancy to totally casual. The fact of the matter is, when pimento cheese is in the house I have a hard time controlling myself. Whether it’s this Southern pimento cheese that I make myself or a tub of smoked Gouda pimento cheese from The Chef and His Wife, I can’t resist dipping crackers or pretzels or whatever other crunchy, salty snacks I have in the house into it. I actually rarely make a pimento cheese sandwich in the house but I am known to order it whenever it sounds particularly tempting on a restaurant menu. I’m not too concerned about it. I’m a good Southern girl and that means that I have to love good Southern pimento cheese, right? 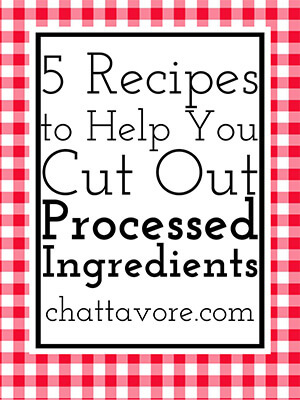 I’ve also upped the flavor quotient a little bit with a couple of additional ingredients. Feel free to add some cooked, cooled, and crumbled bacon if you want (and really, why wouldn’t you?). Cream Cheese or No Cream Cheese? Some people would tell you that my addition of cream cheese makes this pimento cheese inauthentic, and I suppose they might be right. I find, though, that using a little cream cheese in place of some of the mayo (always Dukes in my house – always) makes the pimento cheese less greasy. Actually, in the The Lee Bros. Southern Cookbook , Matt and Ted Lee suggest that if you are going to use your pimento cheese in grilled cheese sandwiches or for melting on a burger that you omit the mayonnaise and mold the cheese into a block that you can cut slices from in order to eliminate the grease factor. Makes sense to me. What’s your favorite way to eat pimento cheese? This post contains an affiliate link. This means that if you click the link and make a purchase, I will receive a small commission. This does not affect the cost to you. For more information, see my disclosures. Thank you for supporting my blog! Set a rack on the top level of the oven and turn the broiler on high. Slice the “cheeks” or the sides off of the red pepper, leaving the seeds and stem behind. Place the pieces of pepper skin side up on the broiler pan or a foil-lined baking sheet. Broil until completely charred. Place in a bowl and cover with plastic for 15 minutes. Scrape the charred skin from the roasted red pepper. Cut the pepper into strips then finely dice. Place the cream cheese in a medium bowl and use a spatula to “cream” the cream cheese until it is a spreadable consistency. Add the red pepper, cheddar, the mustard, the Worcestershire sauce, and the cayenne, if using. Add mayonnaise until you reach the desired consistency. Add salt and pepper to taste. Serve immediately or chill until ready to serve. Quick Southern green beans give you the flavor of long-simmered traditional Southern green beans in barely over half an hour! Instant Pot instructions included. So easy! Scroll down for video. No. 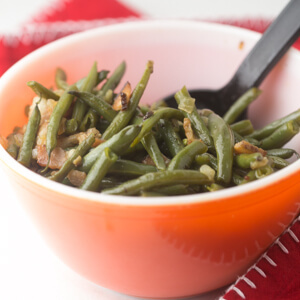 Quick Southern green beans is not an oxymoron. You can indeed make green beans that are tender, with the flavor of bacon (or ham, if that’s more your thing) and perfectly seasoned in just a little more than thirty minutes. I am not joking. I’ve lived in Tennessee my entire life. Every potluck, every church dinner, every holiday, and, yes, every post-funeral meal, involves slow-cooked Southern-style green beans. Sometimes there is onion, or, like my grandmother used to do, there might be peeled new potatoes. But always, always, there is ham hock involved. And lots of simmering. Those are the magic ingredients, and until maybe about a year ago I thought that if you took away either of those ingredients, well, you could not have true Southern green beans. Thankfully I was incorrect. I have no idea the origin of this recipe or honestly even if my recipe is anything like the original, but my mom made something like this a while back and a month or two later I started making this on a regular basis, using my memory of what she told me was in the green beans she made. The bacon and onion take 5-10 minutes, then simmering the green beans takes about twenty minutes, and another 5-10 minutes to reduce the liquid. I like to add a brown sugar glaze, but if you don’t want to do that, well, don’t (though I encourage you to try it at least once. It’s amazing.). Preheat a medium saucepan (I used a 10-inch cast-iron skillet) over medium heat. Place the bacon into the pan and cook until almost crisp. Add the onions and cook until they are tender and translucent. Add the green beans and the chicken stock to the pan. Bring to a simmer, reduce heat to medium-low, cover, and simmer for about twenty minutes or until tender, stirring occasionally. Remove the lid and raise the heat to medium-high. Simmer vigorously until most of the liquid has evaporated. If using, add the brown sugar, stir to coat, and allow to cook until the brown sugar makes a "glaze" on the green beans-two to three minutes. Season with salt and pepper to taste. Serve immediately. To make these green beans in the Instant Pot, set the Instant Pot to sauté. Cook the bacon until almost crisp. Add the onions and cook until just turning translucent. Turn the Instant Pot off. Add the green beans and chicken stock. Cover with the Instant Pot lid and set the vent to sealing. Select the pressure cook setting and set the time for three minutes. When the cook time is complete, turn the Instant Pot off and quick release the pressure. Set the Instant Pot back to sauté. Cook, stirring frequently, until the liquid has reduced. Add the brown sugar and cook for 1-2 minutes to glaze the green beans. Salt and pepper to taste.